This increasingly popular vacation hotspot is located just a few hours’ flying time from the United States. Half a dozen great cats, including jaguars and pumas, are indigenous to Belize and Central America. Belize is the only country in the world with a nature sanctuary dedicated to preserving these magnificent animals, a protected area called the Cockscomb Wildlife Sanctuary and Jaguar Preserve. Hundreds of years before the arrival of European colonists, the Maya Empire stretched for over a thousand miles in what is now Central America. Today’s Belize was located in the center of all of the most important Maya trade routes. Visitors to Belize can explore more than 900 different Maya ruins and sacred sites. Most of Belize is unspoiled tracts of jungle, rainforest, and verdant hills. In order to enforce speed limits inside towns and villages and near schools, Belize uses speed bumps instead of traffic lights. Also called the dollar, the Belizean currency is conveniently pegged to the American dollar. One U.S. dollar always equals two Belize dollars, making it easy to convert prices. In 1971, famed marine biologist Jacques Cousteau discovered what had long been the sole province of local fisherman – the Great Blue Hole, a unique diving site in the middle of an offshore coral atoll. The Great Blue Hole is regularly voted as one of the Top 10 best diving sites in the world. A British colony for more than 200 years, Belize today is the only nation in Central America where English is the official language. More than 80% of the population speak English as their mother tongue. 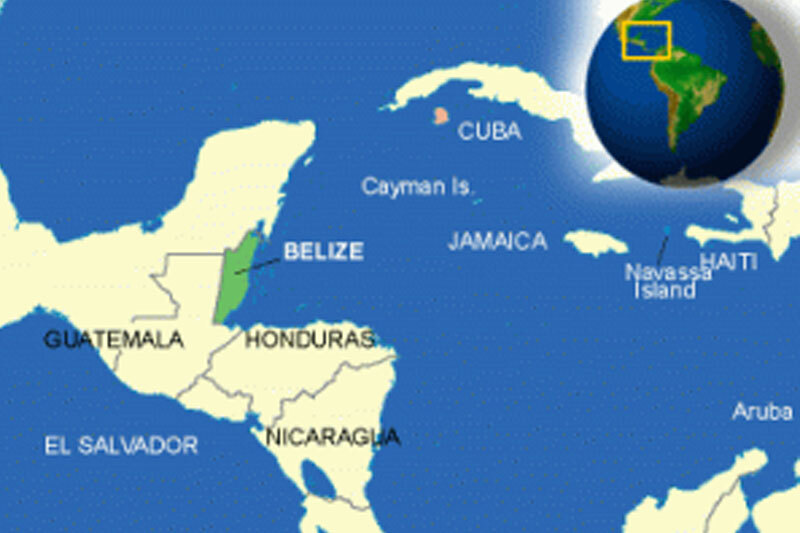 Other languages spoken in Belize include Mayan, Kriol (Creole), Garifuna, and Spanish. A few decades ago when Queen Elizabeth visited Belize, she was served with one of the country’s finest delicacies – gibnut meat. Locally referred to as the “Royal Rat”, this large rodent looks something like a cross between a chipmunk and a tapir and tastes similar to rabbit. As part of the second-largest barrier reef system in the world (only Australia’s Great Barrier Reef is bigger), the Belize Barrier Reef is an incredibly diverse marine ecosystem stretching for more than 180 miles off the coast of Belize. Designated a UNESCO World Heritage Site, the reef is an ideal place for fishing, snorkeling, scuba diving, kayaking, and sailing. Known locally as baboons, these tree-dwelling primates are listed as one of the top 10 loudest animals in the world equipped with a piercing shriek that can be heard up to three miles away through the thick rainforest. With only 355,000 people living in an area the size of Massachusetts, Belize has the lowest population density in Central America, an average of 15 per square kilometer. Belize is also universally known as having a very friendly population renowned for their amiability and hospitality.